Over here in the Mummys Little Blog head quarters we love reviewing fun products, especially those in nature that get the kids to play and have fun. 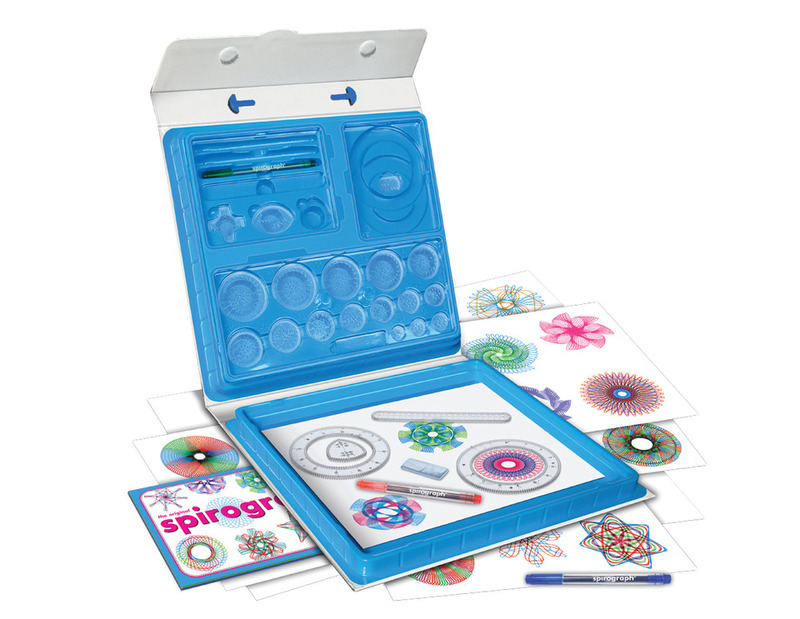 When I got asked to if we would review Spirograph I knew that this would be something to get the kids interested. I used to have a similar set and me and my sister would play for hours with it. I suppose what I wanted to see the difference between my childhood and my eldest sons now in the modern world. Would he be excited? How long before he is asking to play on the iPad? It was worth a try and most off all I could not wait to try myself. When it came it didn't look much different to the set I had as a child. The set comes with multiple plastic cogwheels with larger spiral of holes for it to be used with, it also came with other shapes and some felt tip pens. The box has 45 different parts and most importantly reusable spiro putty. something I didn't have as a child and when I used it I was like wow this is awesome. The set comes with three pens and best of all it packs way into the box and can be taken along anywhere. It doesnt need a plug or batteries perfect for trips away. The only issue we faced was some of the cogs just fell out the box and others you had to force out. It kept Asti entertained long enough to not ask about video games. I think out of the two i enjoyed it more Ami and Son Son also attempted to have a go too, although at ages 2 and 3 they didn't quite get the concept. All in all great fun for a rainy day. See above some of the creations that Asti made sadly he gave up after about 5 minutes. I could see my Ami when she is a bit older loving this like I did. The Spirograph is aimed at children 8+ although my little ones did have a go and enjoy it too. So why not bring back lease of life into an old toy and remember those good old days. Check out the Spirograph website for more info here. Also why not get involved in the Spirograph Young designer of the year competition too via cool creat club too. This set retails at £24.99 and available in most toy retailers.